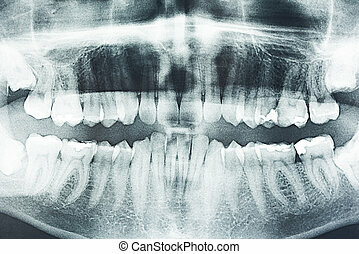 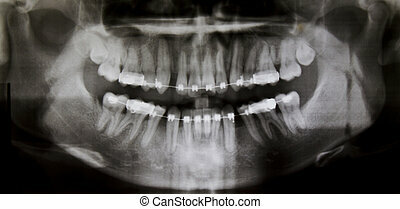 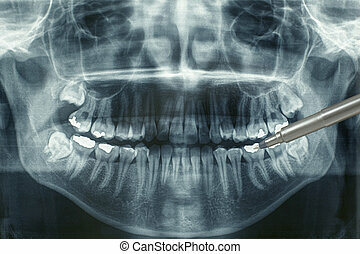 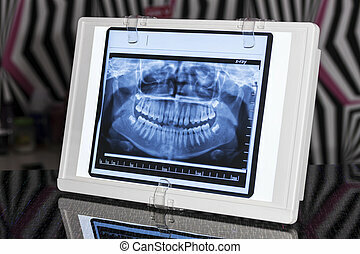 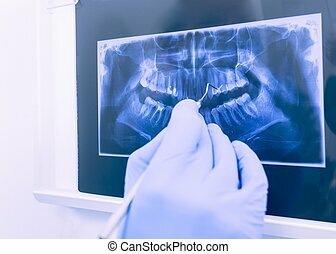 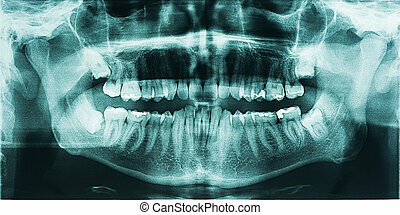 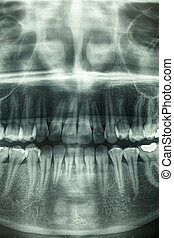 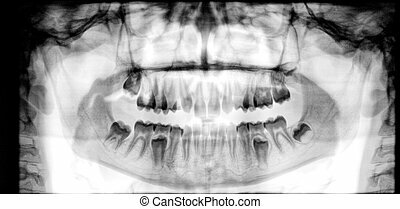 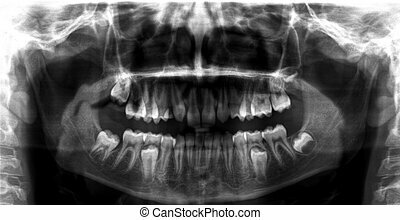 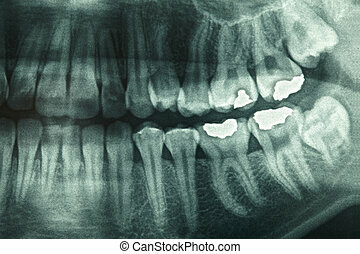 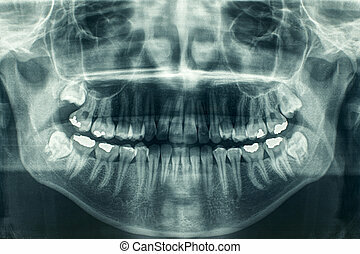 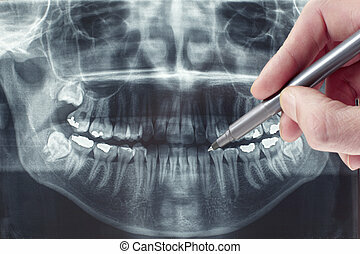 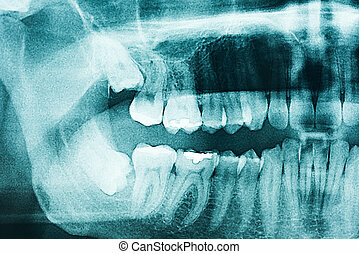 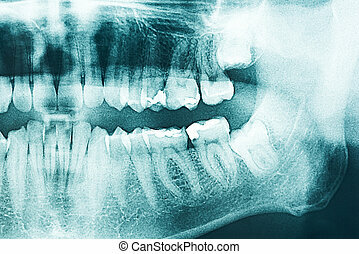 Panoramic dental xray. 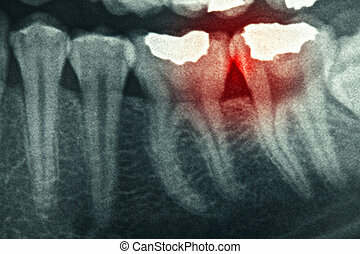 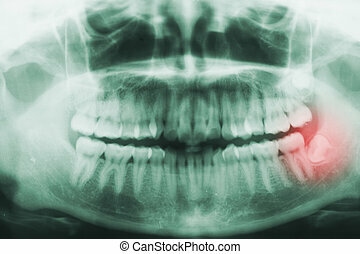 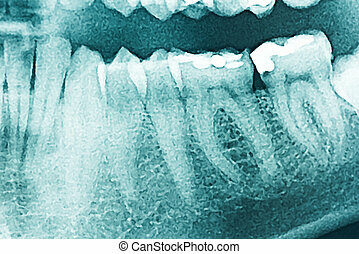 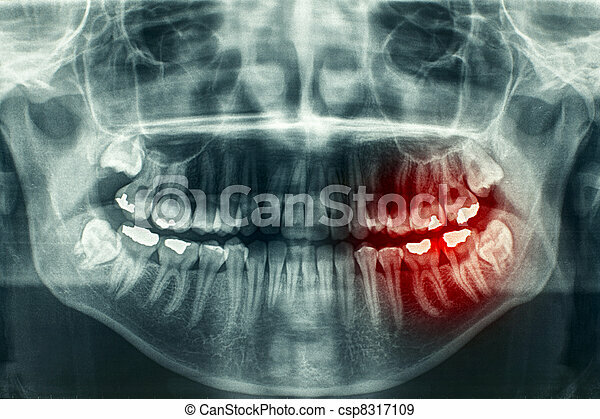 Panoramic dental x-ray, with red painful area. 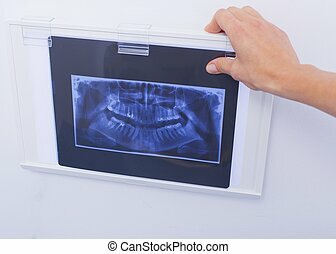 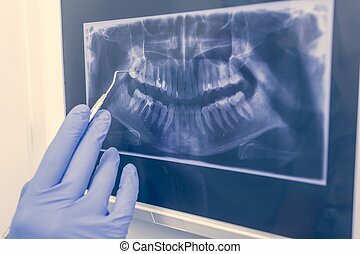 Dentist explaining patient the panoramic xray of her denture. 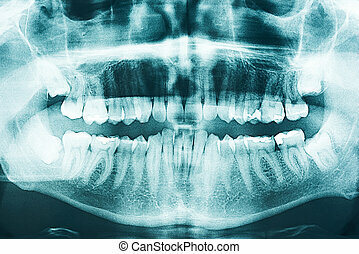 Panoramic xray image of a full denture in office. 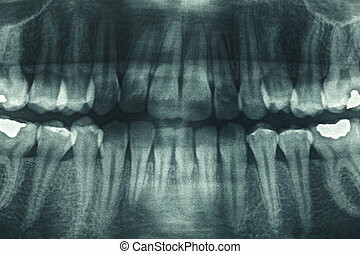 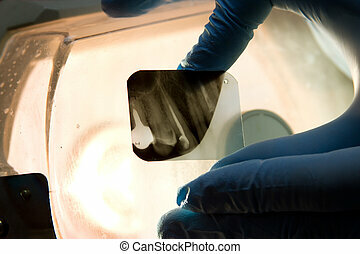 Panoramic dental X-Ray in hand.